Any doubts about golf's global reach have got to be fading fast. In a week that saw the international stars of the game playing in events across Asia, what was probably the week's most remarkable event from a global golf standpoint, was the World Amateur Team Championship which took place on the southeastern coast of the South American continent in Argentina. With a 50 foot birdie putt on the 17th hole at Buenos Aires Golf Club, French amateur champion Alexander Levy sealed the deal on his country's first World Amateur Team Championship. 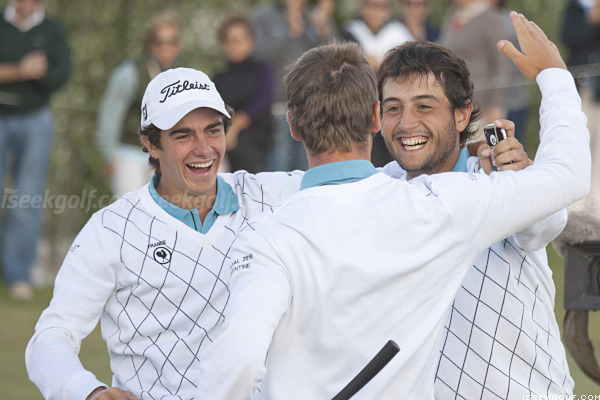 It was a spectacular way for France to claim their maiden gold medal and the Eisenhower Trophy. Also impressive was the performance of Denmark who held the 36 hole lead but ultimately finished four shots back, earning their first WATC medal, a silver. In addition, the individual competition was dominated by Denmark's Joachim Hansen. 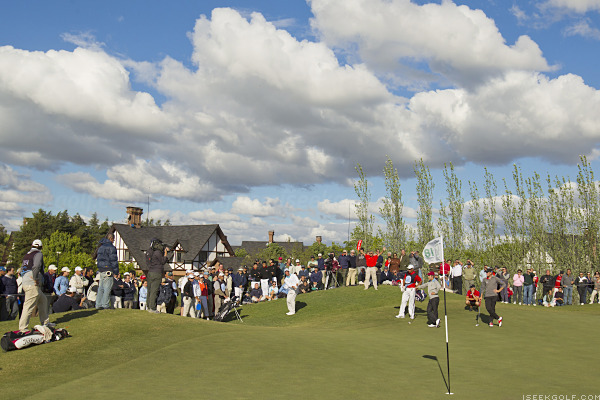 The US team placed third, one shot behind Denmark, after a valiant final nine charge. GolfWeek's Sean Martin provides the exciting details. Treacherous spring weather caused play to be suspended twice on Friday. This shortened the tournament... which is played over two different courses... to 54 holes, and led to some controversy regarding the best way to handle such delays, however I'm quite certain it did nothing to dampen the spirits of the French team and their fans. The French bid to host the 2018 Ryder Cup will undoubtedly sweetened by their World Amateur Team Championship victory... and the 50 foot putt that clinched it. I'm kind of amazed at how global everything has become. It almost seems to be changing wekk to week. Westwood becomes number one and the women continue to fight it out for number one. This week they are in Japan. So true, BTW the Women's World Amateur Team Championship took place in Argentina the week or so before and the Korean team won handily. Monty seems to be pushing for Portugal for the higher probability of good weather, which after Wales, and now Argentina, is understandable.